Halloween was a bit of a bust this year - Friday night the boy and I went to my first public viewing of Rocky Horror Picture Show. We bought a survival kit and great fun was had by all - especially since they let you bring your own food and drink! Saturday night we were snowed in (!) so we just chilled at home and watched various Halloween movies. Or at least I watched them while The Boy did I don't know what or remember. No parties for us. C'est la vie. I promise to have a more interesting life next year. 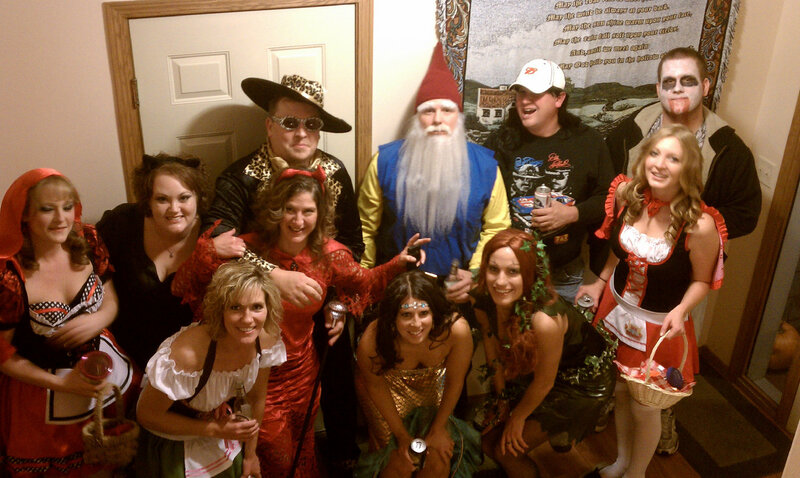 At least I can live vicariously through my customers, some of whom were nice enough to send me pictures of their costumes! 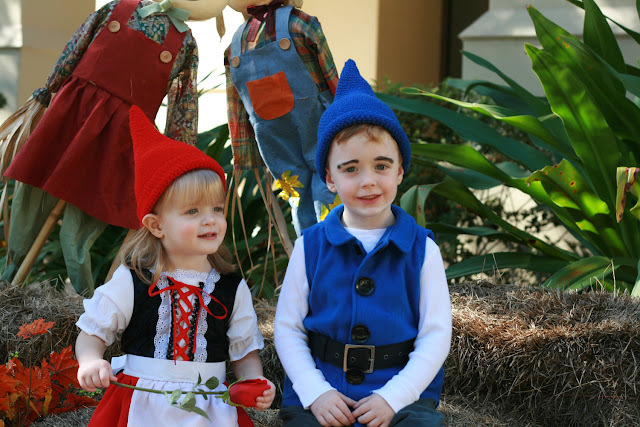 How cute are these little types? 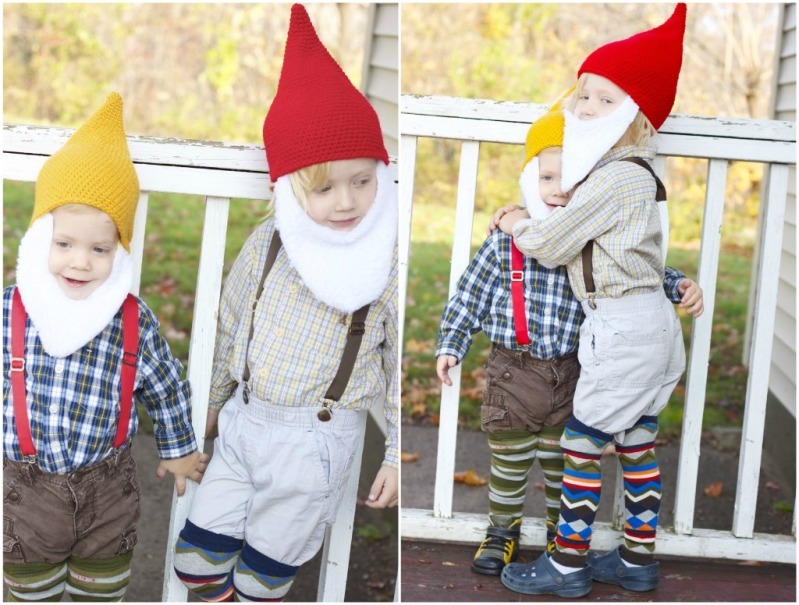 Their mom, Danielle, has a great blog and dedicated an entire post to these little gnomies. Oh, and aren't her photography skills sick? How about these two, so sweet! I LOVE the eyebrow!